India is fastly growing country in the field of technology, science, medical and so many other field but security is the major concern for India as well. The world’s largest road network is in India with over 1.9 million miles of roads. 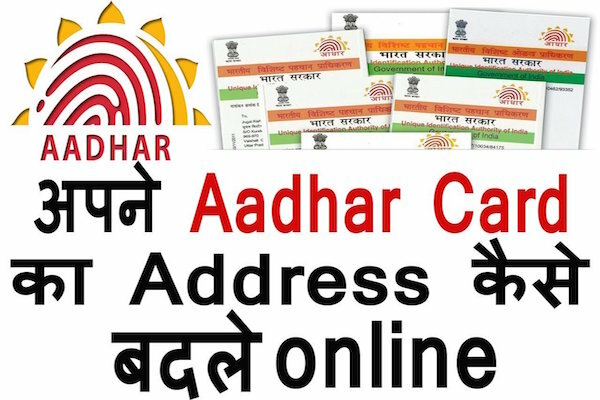 Indian government of India launched 12 digit unique-identity number issued to all Indian residents based on their biometric and demographic data name Aadhar card which launched on 28 January 2009. 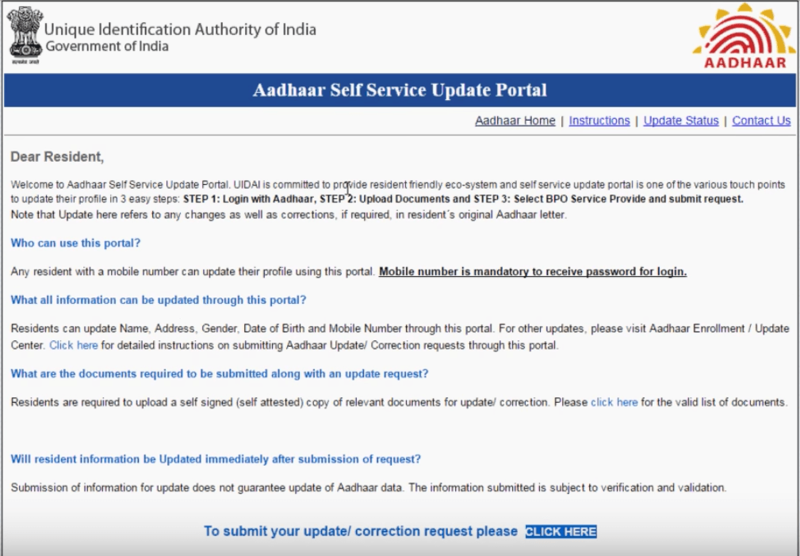 Some people face so many problems related to aadhar card like Aadhaar Card Lost, Aadhar card linked mobile number is not working and so many other problems which solve by aadhaarcardinfo.com. The most searched query is Aadhaar Card Mobile Number Update. 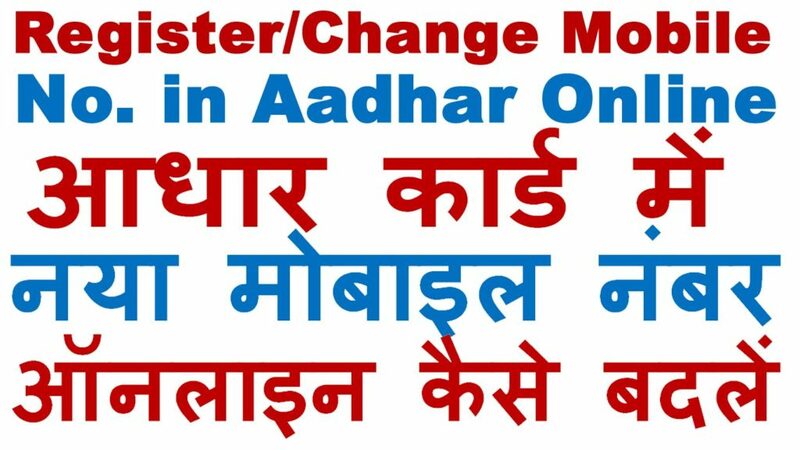 If you want to change your old mobile number from Aadhar card than this article is gold for you. Most of the people don’t know which mobile number is linked to Aadhar card. This article work only when you have your old working mobile number because Aadhar card website sent you OTP before updating your new mobile number. 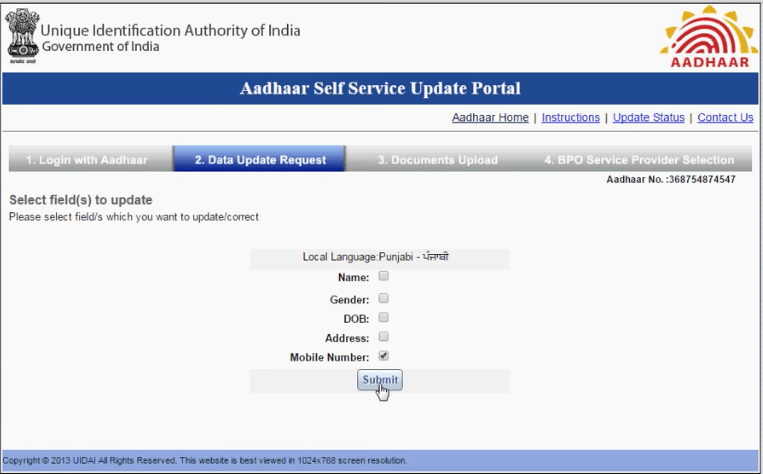 You can visit the above mention link and land to Aadhaar Self Service Update Portal which shows in below screen. 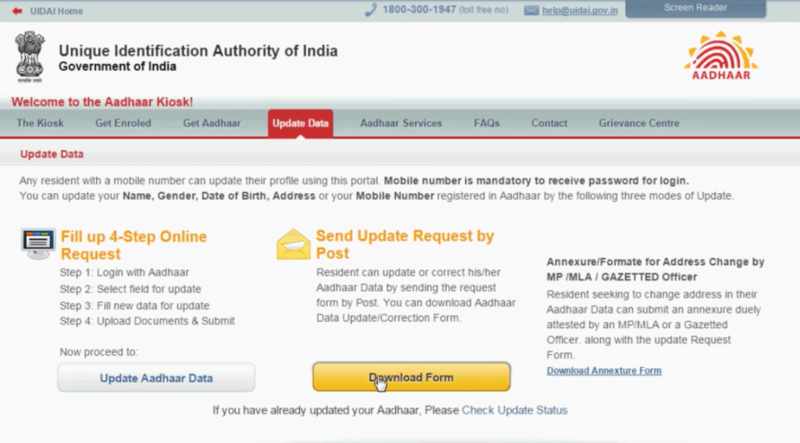 Now you can update or edit the mobile number in Aadhaar Card with simple 4 steps. 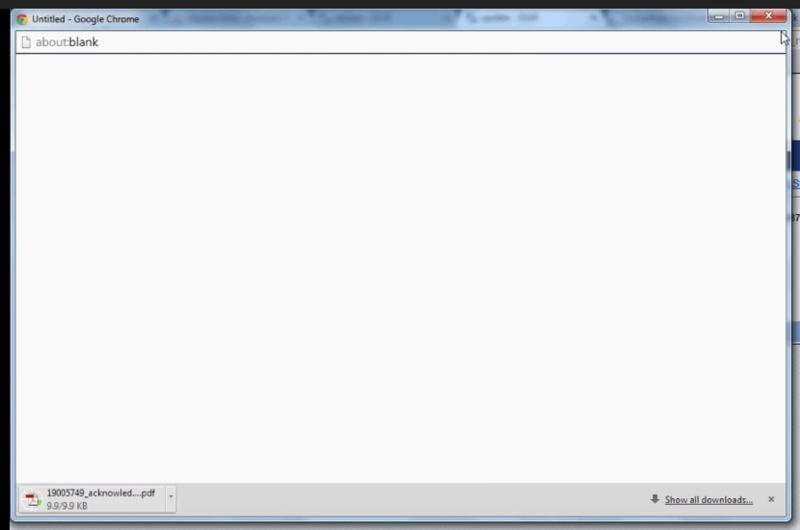 Click on CLICK HERE option which shows on above screen. 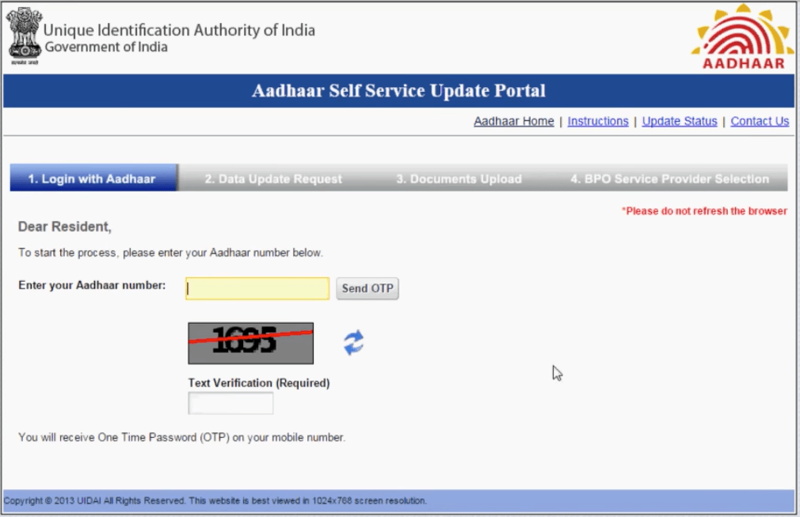 Now you need to enter Aadhaar number and OTP will be sent to your OLD Mobile Number. check your mobile number for OTP and enter OTP into Text Verification Field which shows in below images with 4 digit captcha. In this step, you need to click on mobile number option from the given table which shown in the below images. 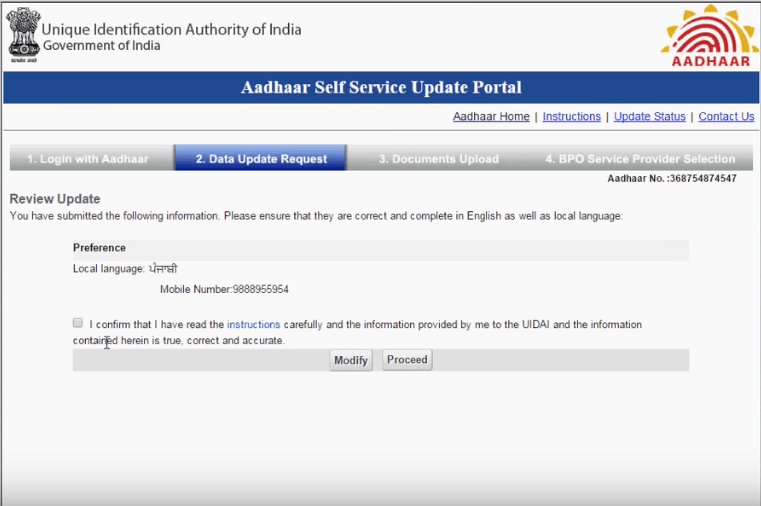 You can change your name, gender, DOB or address through the same way as we have do for Aadhaar Card Mobile Number Update. 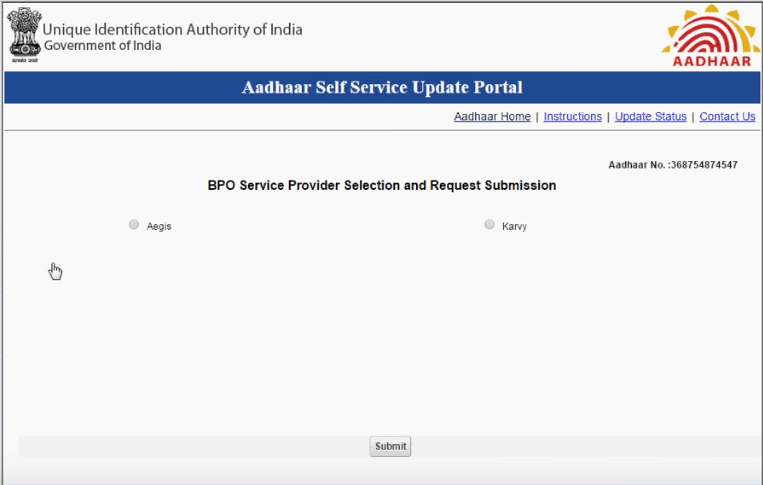 Click on Confirm option which shown in below images and click on the process option. 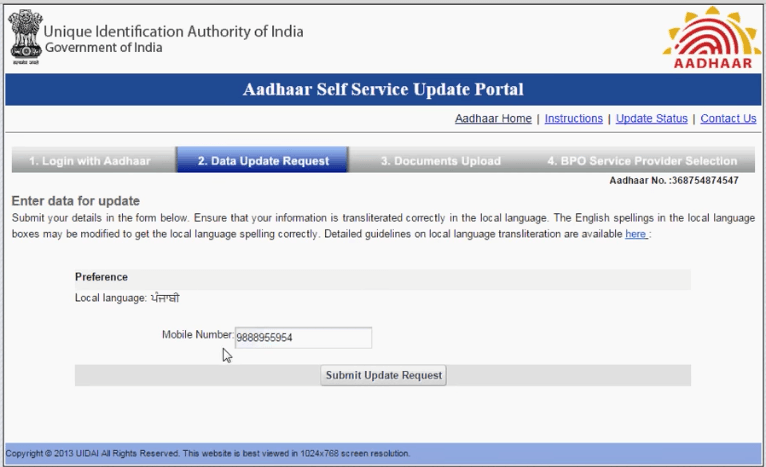 Step 3: This step is automatically skipped by the system because we choose mobile number changes but if you select any other option other than mobile than you need to upload some document which verifies your identity. 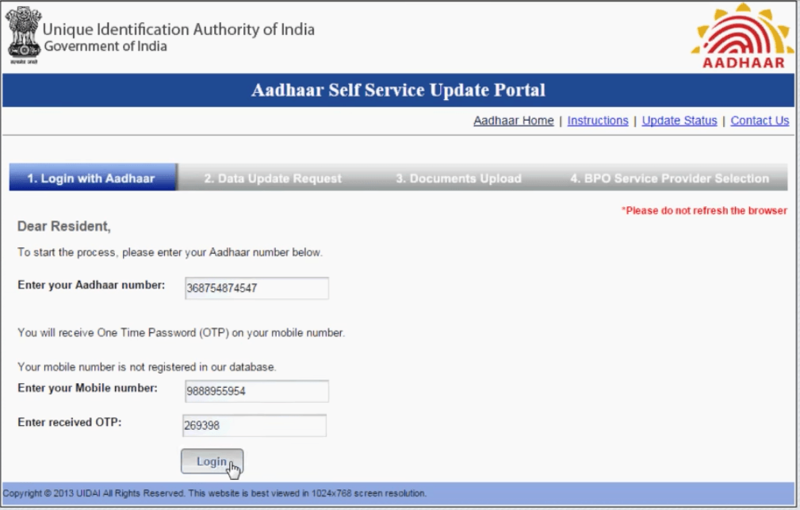 Final Step: Aadhaar request is generated successfully now you need to wait for at least 7 days. after that, your mobile number will be updated on your Aadhaar card. You can save your update request number or download the file for future use.